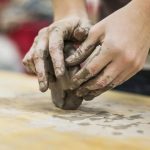 Students will be using their imaginations to create hand built sculptural and functional ceramics. This course is designed to cover a variety of construction techniques and encourages teens to let their imaginations out of the box. Weekly demos will help unlock the mystery behind hand building and help spur new inspirations.